Remodels can be particularly stressful for the homeowner especially if the home will be occupied during construction. At Rogue Brothers Construction we recognize this and do our best to accommodate the homeowner and work out a schedule that allows for comfort while maintaining productivity. Remodels can present more challenges than building new as there are many things to consider when determining what you are trying to achieve. Load bearing walls, plumbing, electrical and many other things need to be considered when planning your remodel. 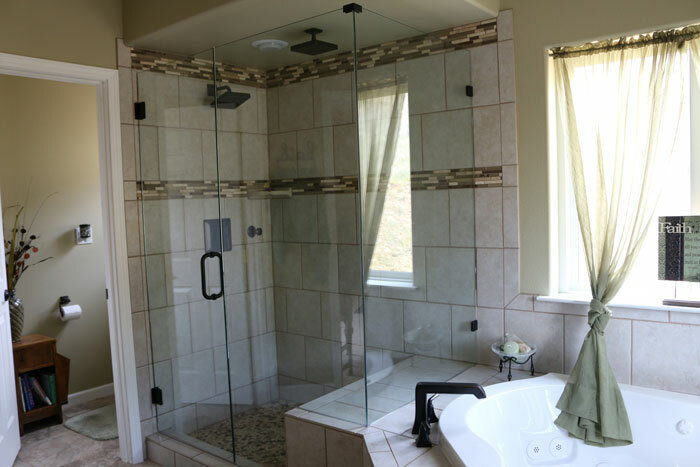 Whether you want a major renovation, an addition, or just a single bathroom remodel we have the experience to turn your vision into reality. DIFFICULTY FINDING THE PERFECT HOUSE? Living in Central Oregon provides an attractive lifestyle that is difficult to find elsewhere. With the population growing, it can be difficult to find the perfect home or location to build your dream home. Purchasing a home in a desirable location with the intent to completely renovate is becoming more common. While this approach is attractive, it’s important to understand what you are actually capable of doing. If you want to increase the size of the home, make sure you speak with your real estate agent beforehand. There are certain “setbacks” around the perimeter of the lot that may prevent you from increasing the size of the home. There may also be HOA regulations that you may need to be aware of. If you are considering purchasing a home with the intent to renovate, contact us and we will gladly do a walk through with you. We can then research the lot and provide a free estimate to complete the renovation. Eventually our homes become outdated or our tastes change. Or, maybe you want an in-law suite to accommodate other family members. Whatever your reason, selecting a contractor with the experience to accomplish your goals is essential. We know that remodels can be overwhelming, for example: determining what you want to accomplish, what physical barriers may restrict or if those barriers will increase the cost of your remodel, and finding a qualified contractor who will deliver value and quality. When you select Rogue Brothers Construction you can rest assured that all of your concerns will be addressed. Let's discuss how we can make your dream a reality.